Beautifully engraved certificate from the Manufacturers National Bank 1893 issued in 1893. 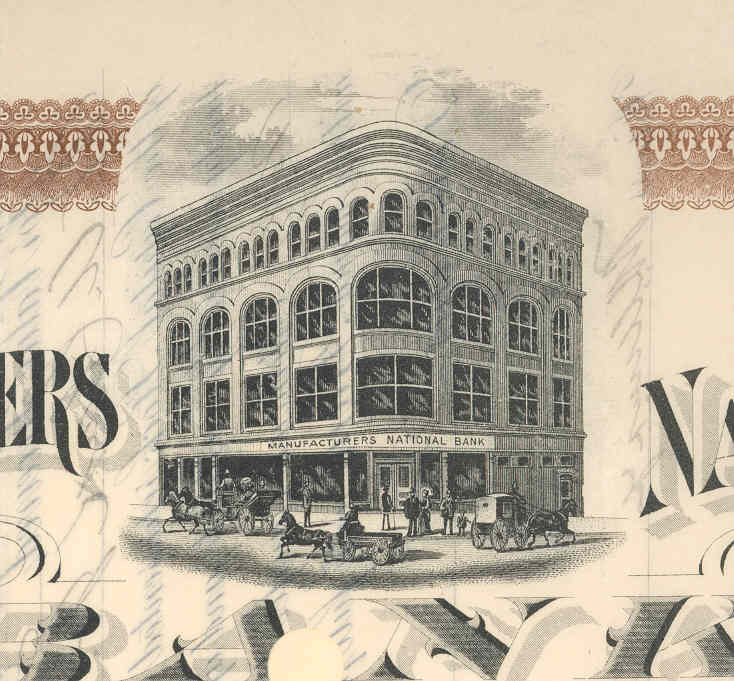 This historic document was printed by the Winshin, Daniels & Company and has an ornate border around it with a vignette of the Manufacturer's National Bank. This item is hand signed by the Company's President and Cashier and is over 110 years old.